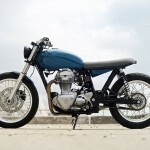 The Scrambler motorcycle is a type of bike which isn’t easy to place in a box. So, to give the scrambler bike a clear explanation isn’t easy either. 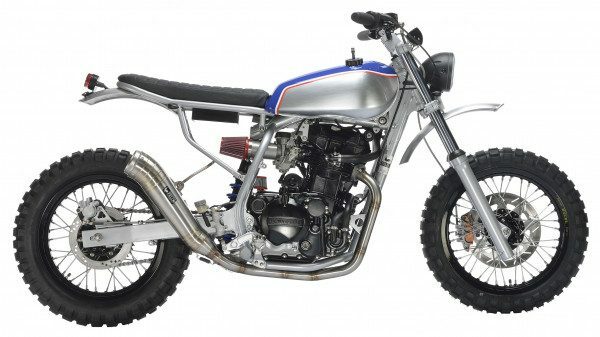 But one thing is for sure – it’s a bike built for off-road and street use. The term “scrambler” has been in common use in the United States since the 50’s and 60’s to describe a street bike with off-road potential (or ambition). However, the word actually has its roots much further back in the 1920’s, when British riders raced across a mix of terrains. According to an urban myth, a British commentator of the day described one such race as ‘quite a scramble’ and the phrase stuck. Today in the custom bike scene, a scrambler is a healthy mix of a (retro/old) bike with a higher than average riding height and shocks, and dual purpose tires, stripped down to the bare essentials. 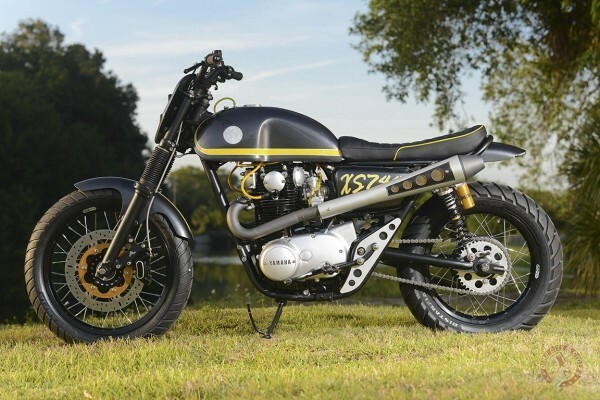 But let’s not forget, every aspect of a scrambler’s look is done for a reason. Clocks are generally small and close to the handlebars. The handlebars themselves are wider and braced across their width. Headlamps are smaller and mounted on shorter brackets. Exhausts tend to be high level, seats shorter and sometimes thicker, whilst wheels are invariably spoked on aluminum rims. Why, I hear you ask? Simple: scramblers mean dirt, dirt means fun and fun means falling over. Showy looking bits that stick out too much, get snapped off or bent. 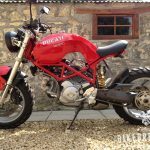 Putting aside custom built scramblers, we now have a whole host of motorcycle manufacturers producing street scramblers too: Guzzi V7 Scrambler, 500cc Benelli Leoncino, BWM R nineT Scrambler, the all new Yamaha SCR920 Street Scrambler, Ducati’s 5 model line-up and the one that kicked off the whole factory retro thing, the Triumph Bonneville Scrambler. Which just goes to show how popular the genre has become. No-one goes to the vast expense of re-tooling a production line if they’re not going to sell bikes. Let’s also not forget just how much we owe to those mad old ‘scramblers’ of the past, who used to think nothing of careering up hill and down dale on rigid frames, girder forks and hand gear change. The innovations of telescopic forks, rear suspension and clutch levers were largely driven by them. 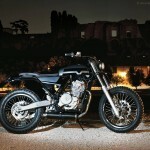 Bikebrewer Mauromotori from Rome, Italy brewed this great Honda Dominator Scrambler. They transformed the somewhat dull Dominator into an aggressive street/dirt bike: Image credits to Mauromotori on Facebook.